A.D. Cook, Artist. Motorcycle Art. Automotive Art. 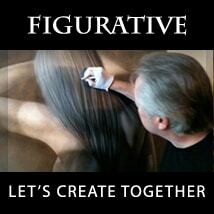 Figurative Paintings.A.D. Cook, Artist | Motorcycle Art. Automotive Creations. Figurative Paintings. Your art is a reflection of your dreams, stories and memories. We love beautiful cars and American motorcycles. They move us and inspire us as artists to create special artworks that remind us of freedom and passion for the open road. 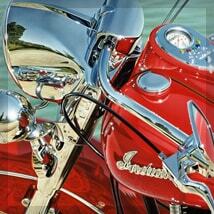 Here, epic artwork illusions of chrome and steel come to life on canvas and metal. 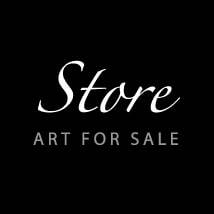 Enjoy our fantastic selection of original motorcycle artworks and automotive creations including original oil and acrylic paintings, photography on metal, mixed-media and limited-edition canvas art prints. 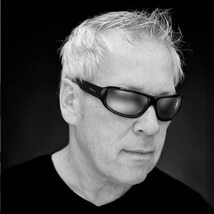 Featured artists: A.D. Cook, Beti Kristof, Jordan Shiraki, Kenny Youngblood and Raphael Schnepf. 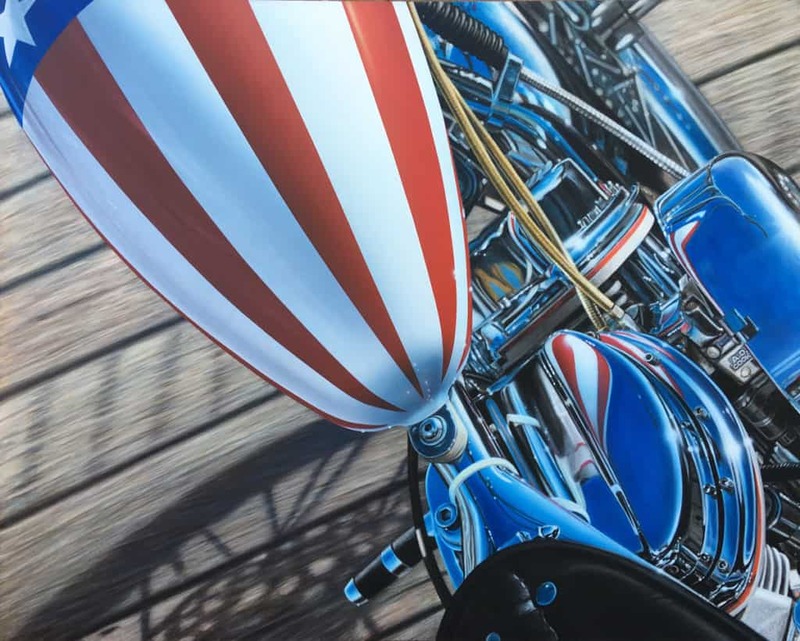 NEW > AMERICA – from A.D.’s new series appropriately titled “AMERICA FIRST“, a collection of powerful original motorcycle artworks celebrating America’s pride and freedom. Motorcycle Art, Lifestyle Paintings and Original Figurative Creations by A.D. Cook — Featured in Easyriders magazine, Quick Throttle, Airbrush Action Magazine, The Ultimate Airbrush Handbook and numerous other publications. 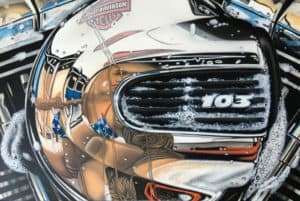 Motorcycle Art and Lifestyle Paintings by A.D. Cook — Featured in Easyriders, Quick Throttle, Airbrush Action Magazine, The Ultimate Airbrush Handbook and numerous other publications.